Rob commented, We liked that Acclaim had a local office and that we could deal with individuals who knew about both the sales and after-sales. Nowadays getting the technical backup and dealing with the same person each time you call is getting rarer. With Acclaim we have continuity and we have built up a relationship with them over the years – which we really like. 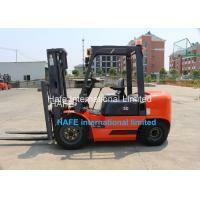 Hafe International Limited was founded in 2010. Since the establishment of the company, Adhering to the future goals of to build a market oriented enterprise, we created the trading platform leading brand “HAFE”. 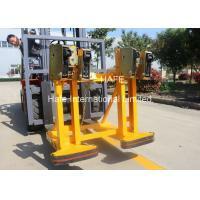 By now, We are one of the leading enterprises of global equipment manufacturing and export industry. Adhere to mission of “Quality changes the world”, we put the 5% to 7% sales revenue into the research and development, aiming to keep updating the products to the premium class level of the world. Relying on self-dependent innovation, we successfully developed many patented inventions in industrial vehicles and equipments sectors. We also successfully developed the world’s first full hydraulic grade, the world’s first pump for delivering concrete with graduationⅢ, the world’s first non-bubble bituminous mortar vehicle, Asia’s first 1000-ton all terrain crane, the world’s largest 3600-ton crawling crane, China’s first hybrid excavator, the world’s first removable set of equipment A8 mortar machine and etc., constantly pushing “made in China” to the world’s first class. In domestic, We liaisoned with six industrial bases in Shan, Changsha, Shanghai, Jiangsu, Zhejiang and Anhui. 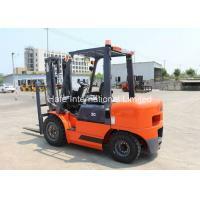 At present, our business has covered over 30 countries and regions all over the world. HAFE Industrial Solutions” is the flagship operated by HAFE International Ltd., a private Industrial Manufacturing Service & Trading Promotion business, incorporated in Hong Kong, China, by a team of specialists from different industries with rich experiences. What we are trying to tailor will help contractors, channel partners, end users in setting up or making their material procurement decisions for industrial and construction projects in definite areas. Our dedicated energetic teams of product specialists focus on each customer segment and leverage their close ties with suppliers selected from a huge supplier database, based on certain industrial standard, predefined work flow, quality criteria etc. which advances the supply chain integration to meet client’s ever changing business goals that retrieves market values. Besides manufacturing services and trading options, we are also engaged in introducing excellent regional products into our marketplaces where industry and people may need them, through project, definite channel partners etc, especially into Great China regions where economy is emerging outstandingly through past a decade of years.